The RCD line of passive dehydrators keeps small volume waveguide and coax systems dry. These dehydrators may also be used to supply short term protection for larger systems; during power interruptions, maintenance, storage, or transportation. An RCD passive dehydrator contains a drying agent sealed in a pressure tight container. 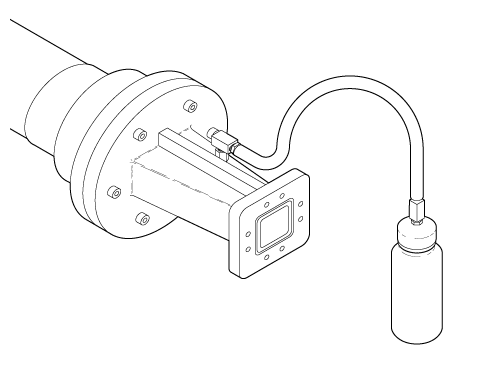 A 1/8″ NPT pressure fitting is provided for connecting to the system to be protected. Gas diffusion ensures that the desiccant is exposed to any water vapor present in the system. Unlike mechanically pressurized systems, an RCD passive dehydrator works best when the waveguide or coax system is tightly sealed.